Can someone who has built this kit give me the tube lengths and the length of the nose cones? The thread also contains a clearer decal scan than Jimmy Z's, at the request of GlenP. I have to stop reading your posts, it always sends me on a detective hunt. I assume you already downloaded the plans at JimZ's, so you know the motor tube is 2.75" st-7. The interior tube is 3", from the Centuri catalog at ninfinger's the dia. is .91", so that would be an st-8. The two outer fuselage pod tubes appear to be st-8 also. You're on your own on the lengths. There are profile and top drawings on the last page of the instructions, you can scan and resize so that the fuselage dias. are .91", and measure the fuselage lengths. That should give you a good approximation. The scans of the fiberboard templates print the wrong size, and there is no inch scale. But knowing that the central cutout for the interior tube is 3" long, you can resize to the correct dimensions. Nose cones are another story. I'm guessing they are PNC-89s. That would be 4.6" long. Semroc/erockets has a balsa alternative in the BC-846. (Note that I said guessing). If you have cash to burn, that is. Gotta go run some errands. Laters. The Estes Blackhawk is the same kit, minus the "Bukk Rogers" décor. If you can find dimensions/plans for that online, they are the same. Which makes sense since it's an Estes, not Centuri kit. 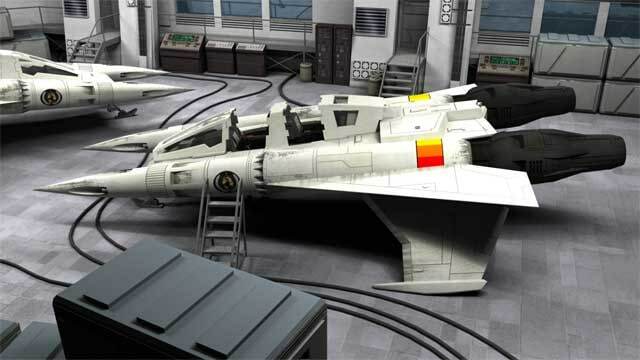 So looks like it might be slightly resized from the original BR Starfighter. Anyway, should be enough info to do a clone. Let us know, mole, if you do one. Would like to see the result. BTW I hear they fly kinda funky. Edit: Upon looking closer at the Blackhawk plans, there are also some design differences. The Starfighter ejects the motor pod and chute out of the central tube, while the Blackhawk has ducted gas ejection into the left fuselage pod. And the decal scans are crappy. Maybe build the Blackhawk and use slightly enlarged Starfighter decals? Call it the Buck Rogers Starhawk? Last edited by BARGeezer : 08-16-2018 at 02:01 PM. Thanks, BARGeezer for your responses. I have come across the tube and nose cone lengths. I think when I get the time I will put some measurements to the parts drawings of the BR Starfighter and post them here. The Buck Roger Starfighter and the Blackhawk are quite different in size and construction. The Starfighter is easier to construct. I want to do an upscale of the Starfighter using BT-60 tubes and PNC-60RL nose cones. For now, I'm looking at what the size would be for all the parts, but plan on building one. I'd like to see a working jet plane designed to the appearance of the full scale movie prop. Thanks, Les, your tube and nose cone lengths are correct. I have two of the Starfighter kits an over the years different tubes have gotten mix up in the two open kits. So I was trying to get the right length tube to go with the kits. Now I'm in good shape and have started drawing the parts patterns up for the upscale. You are correct on the BT length. It is 5.5". I didn't measure the diameter since mine also has primer and paint (and I didn't want to get the calipers from the shop in the rain), but I'm confident it is Series 8 tubing, which is .908" OD.